Rush Limbaugh said he hopes this administration fails,” Wanda Sykes said at the White House Correspondents' Dinner. “So you’re saying, ‘I hope America fails.’ You’re like, ‘I don’t care about people losing their homes, their jobs, our soldiers in Iraq.’ He just wants the country to fail. To me, that’s treason." But did that stop her? Heck no, she was on a roll. 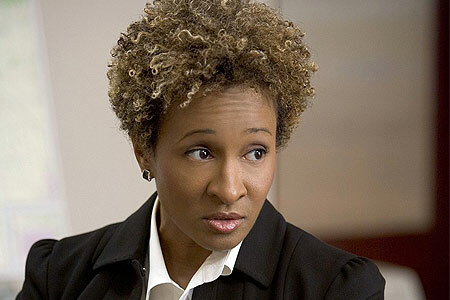 Without a doubt, Wanda Sykes went too far. So far, in fact, that even the White House press secretary Robert Gibbs admitted this during his briefing today: "I think the president - I haven’t talked specifically with him, but my guess is - I think there are a lot of topics that are better left for serious reflection rather than comedy. I think there’s no doubt that 9/11 is part of that." I, for one, am tired of the ad hominem attacks on Limbaugh, Palin, and the like. We need to discuss issues and look for real answers to real problems, not poke fun at one of the worst disasters in American history. Toby Harnden of the London Telegraph stated, "Obama seemed to think this bit was pretty hilarious, grinning and chuckling and turning to share the 'joke' with the person sitting on his right. There's not much room for differing interpretations of what Sykes said. She called Limbaugh a terrorist and a traitor, suggested that he be tortured and wished him dead. What was his crime? Hoping that Obama's policies - which he views as socialist - will fail. That's way, way beyond reasoned debate or comedy and Obama's reaction to it was astonishing...Obama laughing when someone wishes Limbaugh dead? Hard to take from the man who promised a new era of civility and elevated debate in Washington." Not only do I agree, I couldn't have said it better myself.